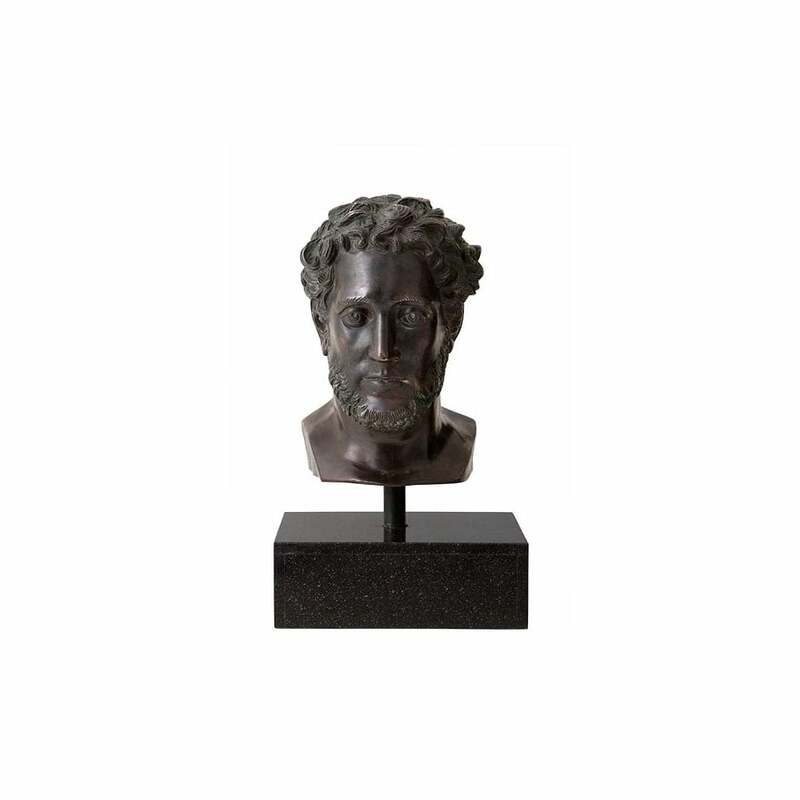 Add an air of sophistication to your interior with the Alexandrie head statue from Eichholtz. Inspired by ancient Grecian sculptures of Alexander the Great, this classic style bust features a beautiful bronze finish. The prominent figure stands on a luxurious black sculpted granite base. Embellish your existing décor with this classical inspired figurine, designed to replicate the works of the masters. Place as an objet d’art within a hallway or add as a striking home accessory within the living room.